No matter what kind of foodie you know, we are sure they will love the Instant Pot. This seven-gadget-in-one appliance is a must for anyone who loves to cook (but doesn’t have enough time to tend to a Dutch oven all evening). The Instant Pot is a pressure cooker, a steamer, a slow cooker, a rice cooker, a yogurt maker, a warmer and a browner all in one, which makes it ideal for those with limited counter space. It has 14 built-in programs that allow you to delay cooking up to 24 hours, set a meal to cool for up to 120 minutes and work with three different cooking temperatures for sauteing. It comes in three, six and eight-quart sizes and is easy to clean. 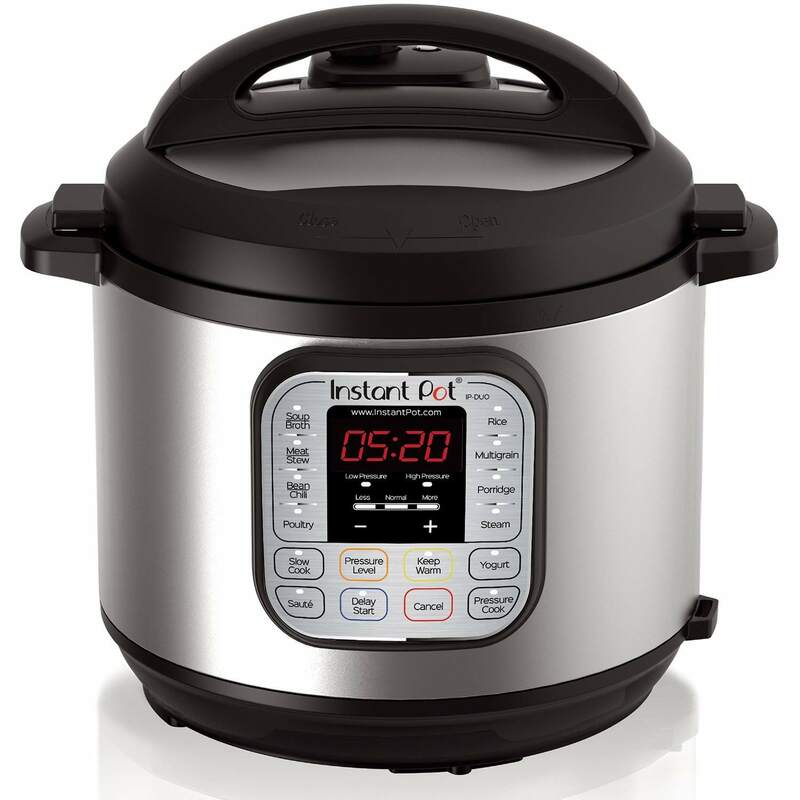 The Instant Pot has over 27,000 reviews, making it one of the best-rated and reviewed kitchen products on the site. 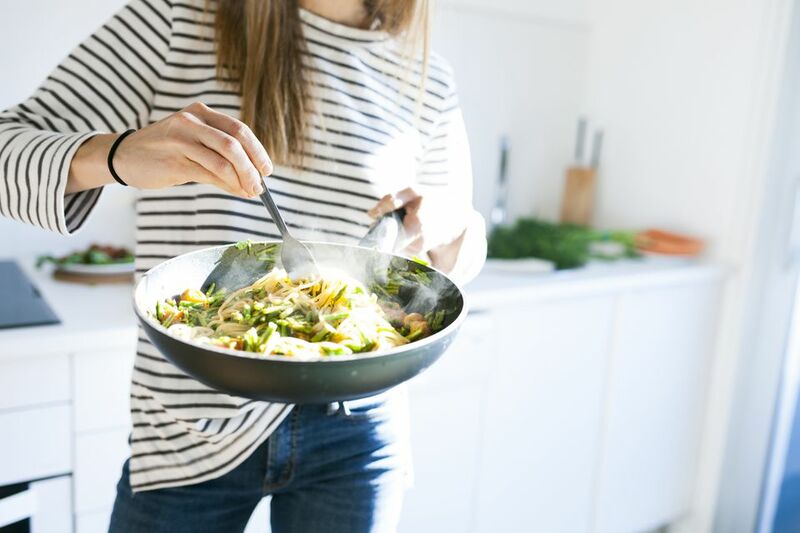 Owners rave about everything from its ease of use to the perfect cooking temperatures and generally find it to be one of the best appliances in the kitchen. Get the foodie mom in your life the Nex Fruit Slicer, and she and her kids will thank you. This affordable 10-in-1 comes with a masher, an apple slicer, an avocado scoop, a citrus cutter, a lemon and grapefruit squeezer, a mesh cutter, five fruit picks and a bowl for all your perfectly cut fruit. With this gadget, you can peel, core, and slice a fruit in seconds—and every parent knows how important those precious minutes are when there’s a hungry child waiting. Overall, this easy to clean slicer set is a great choice for housewarmings, stockings or “just because” gifts for the foodie who loves fruit. The Nostalgia Electric Gummy Candy Maker is a great choice for the future foodie in your life. Every child loves candy, and this fun toy lets them create their very own gummy worms, fish, and bears. It comes with easy-to-clean silicone molds and a heated gelatin pot that melts the perfect mixture for the gummy candies. Once you pour the mixture into the molds, the gummies will set within 24 hours. Sure, it’s easier to just go buy a package of gummy candies, but every kid (and kid-at-heart) will love the fun involved in creating their very own gummy worms. No matter the season, a true grill master is always thinking about the next perfectly cooked steak. The Cuisinart 13-Piece Wooden Grill Tool Set is a great gift for anyone who loves to grill. Each set comes with a wood and stainless steel spatula, tongs, fork, grill brush and four skewers and corn holders, as well as a recycled plastic carrying case for easy storage. The spatula, tongs, and grill brush feature a leather strap for easy hanging by a grill and are crafted from rust-resistant steel. Owners say this Cuisinart grill set is built to last and easy to put together. If your foodie friend is the one who’s always standing by the grill, this is a gift he or she will appreciate for years to come. This Crate and Barrel Pizza Grilling Stone is a wonderful accessory for creating delicious, crispy pizza at home. This 14.25" ceramic pizza stone is heat resistant up to 800 degrees and is broiler, dishwasher, and microwave safe. It duplicates the use of a brick oven by distributing heat evenly throughout the stone. It’s perfect for either grilling or baking pizza and can be easily cleaned with a grill brush. Before use, simply coat with vegetable oil to create the perfect nonstick surface. A pizza stone is a great tool for any foodie and creates a “wait, this isn’t delivery?” level pizza every time. What’s better than Sunday morning bagels and cream cheese? This Bagel & Cream Cheese Making Kit comes with everything you need to make 12 doughy, New York City-style bagels from scratch. Assembled in Brooklyn, the kit comes with a cheesecloth, bagel mix, malt syrup, yeast, everything spice mix (or cinnamon raisin, depending on your flavor choice), and a bottle of vegetable rennet. Unless you live in the Big Apple, it can be hard to find New York-style bagels, but this kit lets your foodie friend or family member craft their very own—including the cream cheese. Owners say this kit is labor intensive, but the process is fun and engaging. It’s the perfect gift for a fun, hands-on brunch party or Sunday morning family activity. The Oster Cordless Electric Wine Bottle Opener with Foil Cutter opens a bottle of wine with the push of a button—no hassle required. Any wine lover will appreciate an electric wine opener that also removes the seal. The sleek design features a soft-grip handle and it sits in a small rechargeable base. This sturdy opener measures 10.75” tall by 2.25” wide and and one charge will open approximately 30 bottles. If your foodie friend is a wine lover, this is a gift that they’ll use again and again. For the foodie who loves a great bean over a perfect grape, the Breville Smart Grinder Pro allows anyone to become an at-home barista. This stainless steel grinder offers 60 grind settings and can accommodate up to 18 ounces of coffee beans. Grind time can be adjusted in .2 second increments, and each grinder comes with two portafilter cradles, a glass grinds container and a conical burr cleaning brush. Coffee lovers say the Breville grinder is a must for any true caffeine aficionado. Though it’s pricey, a great grinder will deliver far better at-home brews, and the Breville is one of the best you can buy. Looking for a gift for the foodie who wants to stay healthy this year? The Secura Extra Large Capacity Air Fryer is a must-have gadget for anyone who loves the taste of fried food, but not the calories. This 3.4 quart electric hot air fryer uses hot air instead of oil to crisp almost any food. The Secura cooks at temperatures from 180 to 390 degrees and has a 60-minute timer, so food fries perfectly every time. It comes with a toaster rack, four skewers and a fry basket, and is great for cooking everything from french fries to fried fish. Owners love the Secura Air Fryer because it allows you to “indulge” in crispy fried food without loads of grease. The main complaint some users have is that it can be hard to learn to use—a problem easily solved with one of the many online tutorials. If your foodie is more about eating than cooking, the Blue Apron Subscription Box is a great gift. You can choose from the two-person plan or the family plan, and from there you can customize how many people you are cooking for. With each delivery you will receive fresh, artisanal ingredients and easy-to-follow recipes to go along with your food. Blue Apron also accommodates food allergies and specific diets. Blue Apron delivers 7 days a week, and you can skip a particular week if you will be traveling. All of this can be managed through your online account for optimal convenience. If the foodie in your life loves to try new recipes, this subscription box will be the highlight of his or her month. Every baker needs a KitchenAid Stand Mixer in their life. This 10-speed mixer features a 5-quart stainless steel mixing bowl and allows for more than 15 optional attachments that create everything from fresh pasta to the perfect bread dough. The mixer also features “59-Point Planetary Mixing Action,” which allows for the best possible ingredient incorporation. Its tilt-head design allows you to easily add ingredients for any recipe without taking the mixer apart, and it comes in countless color choices so you can find the right match for any kitchen. Whether your favorite foodie already owns a vintage KitchenAid that could use an upgrade or they have been mixing every recipe by hand for far too long, this is a gift that will be cherished for years to come.